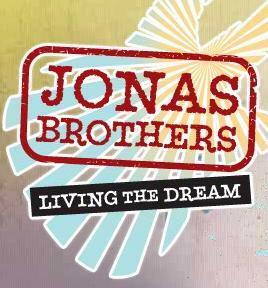 Jonas Brothers: Living the Dream is a reality television series and a Disney Channel Original Short Series that followed the life of the Pop band Jonas Brothers, as they went on their North American Look Me In The Eyes Tour. It featured clips of the band rehearsing, traveling, performing, studying, and their personal life with their family and friends. The narration of each show rotated among the three brothers. The series premiered on May 16, 2008 at 7:55 p.m. ET and ended on September 5, 2008. Nick and his brothers are ready to go on their sold-out When You Look Me In The Eyes tour. But before every great tour, there are many things to do to be prepared for each and every show. The brothers take you behind-the-scenes as they get prepared. You can watch as they check off each thing on their to-do list.